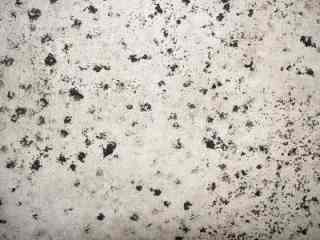 If you find a 'fungus' which is white and furry or has black spots, then don't worry; cure the cause of the damp and use a fungicide. If there are thin light grey threads, cotton wool-like growths, and (once it has really got going) mushroom-smelling 'pancake' shapes, then this is dry rot. If wood is spongy and there are fine dark brown threads, then this is wet rot. Again, dry it out and treat with a fungicide. You first need to reduce the humidity and improve airflow if the mould is in a corner or behind furniture. Stop drying clothes in the room and open the windows regularly. Make sure any fireplace in the room, its flue and chimney are not blocked. Then wipe the mould with a fungicide from a DIY shop. If this does not solve the problem and the mould reappears, strip the paper from that area of wall. If the wall feels damp then check the gutters, remove exterior paint etc. See Managing Damp. Once the sources of moisture are dealt with, strip the wallpaper and apply a fungicide and a sealant before re-papering or painting. As with mould on the walls, you first need to reduce the humidity and improve airflow if the mould is in a corner or in or behind furniture. Stop drying clothes in the room and open the windows regularly. Make sure any fireplace in the room, its flue and chimney are not blocked. It may be best to put wardrobes against inside rather than outside walls. Dry cleaning the clothes should kill off spores. With both wet and dry rot, you need to reduce the level of moisture entering the wall and maximise the outputs, the evaporation. See Managing Damp. Wet rot is usually found in exterior woodwork such as door and window frames; particularly where water can settle. It can also be found at the ends of joists where they meet the wall; if a joist rots enough, the floorboards on top will tend to 'give' when stood on. Minor damage can be remedied by drying the wood and then using wood hardener, a resin that soaks in. More serious damage is handled by replacing the wood. A competent carpenter can make and fit replacement parts. Easier for the home-owner is replacing or strengthening joists. It is usually sufficient to cut back the damaged joist to good wood, and then bolt an extension to it. Treat this wood with a preservative first, and use some damp-proof membrane where it meets the wall. Until recently dry rot was always treated aggressively; joists, flooring and other timber was ripped out and plaster hacked off the walls. 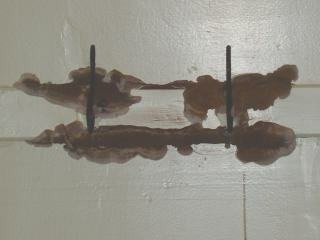 It is now understood that the dry rot fungus, Serpula lacrymans, needs about 25% moisture to survive. So if levels can be reduced below 20%, then it will die out. The problem is that is can take a long time to reduce moisture levels in walls and any wood in close or actual contact with fungus-infected walls remains at risk. You should therefore use a chemical treatment on these areas of wood. These need to be saturated with the preservative; Use a paste or make repeated applications of a liquid type. Damaged wood should be removed and replaced with wood that has been treated. You may still meet with surveyors, building societies and house buyers who need convincing; an independent advisor may have to be brought in.